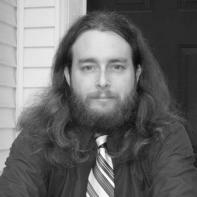 Adam Tavel received the 2010 Robert Frost Award and is the author of The Fawn Abyss (Salmon, forthcoming) and the chapbook Red Flag Up (Kattywompus). His recent poems appear or will soon appear in The Massachusetts Review, Quarterly West, Passages North, Southern Indiana Review, Cream City Review, and Crab Orchard Review, among others. He is an associate professor of English at Wor-Wic Community College on Maryland’s Eastern Shore.